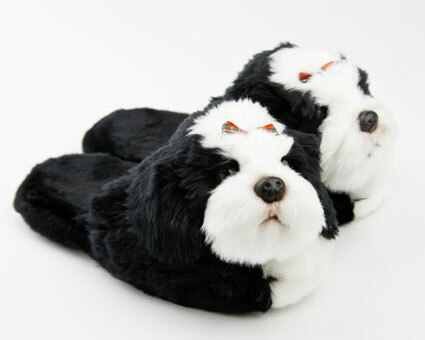 These slippers are the perfect gift for any dog lover! The detailing on the face truly captures the distinctive character of the breed, while the bow on top adds a bit of flair. 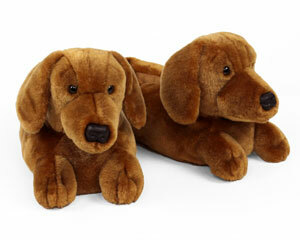 These slippers feature high quality faux fur and a durable one inch thick non slip sole. 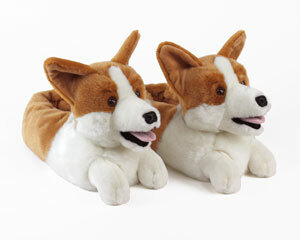 When your dogs are barking you should give them a rest in these comfy slippers. 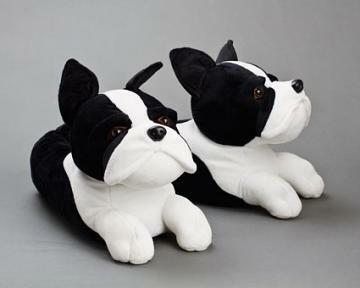 I bought these as a gift for a friend who has a black and white Shih Tzu. I think she will absolutely love them because they are just so darn cute! I bought the slippers for my daughter. They are adorable! The heads turn which we thought was cute. They arrived quickly. My daughter wears an 8.5. They are a bit large but not too bad. The size seems to be about a ladies 9/10. She loves them as they look like her dog! Fun! I loved them! True to pic! I placed two orders for Christmas. All 3 of us love them. They were the best gifts all day. 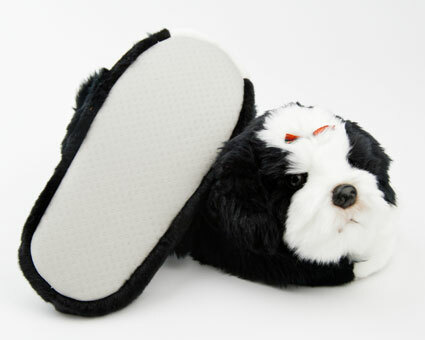 I just wish the Shih-Tzu Dog Slippers had a back to them. Will definitely purchase in the future. These slippers are great. The dog attacks them when ya walk but they are really nice. 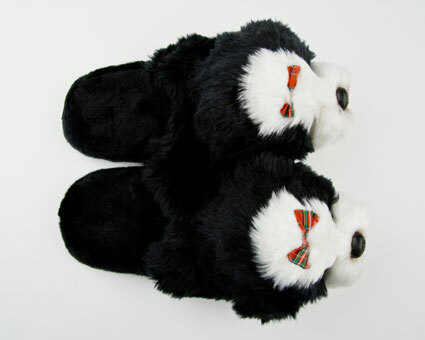 The slippers are adorable. They look just like the picture. They will definitely get a reaction anytime you wear them. Advantages: I like that the head moves. When they arrived, the head was facing me, but it looks much better with the face going forward. Disadvantages: They are not very well cushioned. Once I moved the face to the front, the face is now moving all over , not staying in the front position. Purchased these as a gift for my mother and she loved them. These are absolutely adorable and life like. However, the sizing is way off. I normally wear a women's size 7-7 1/2 medium and these were so big they wouldn't stay on my foot...so I am returning. 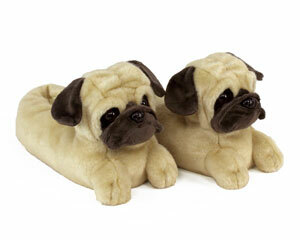 Of note, I also ordered the bulldog slippers for my daughter (wears a size 6) and the style of that slipper shoe fits. 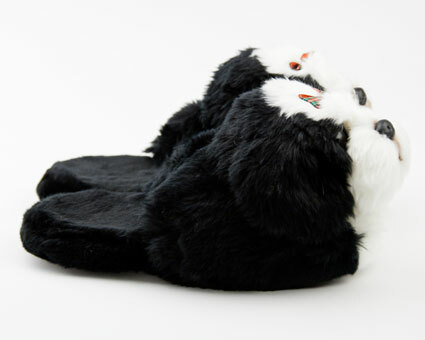 I would reorder the shih-tzu slipper if it were the same style and offered same sizing. Advantages: True to breed. Comfy. Disadvantages: Sizing and style way off for women's smaller shoe sizes. I ordered a size 6. I received a size 14.